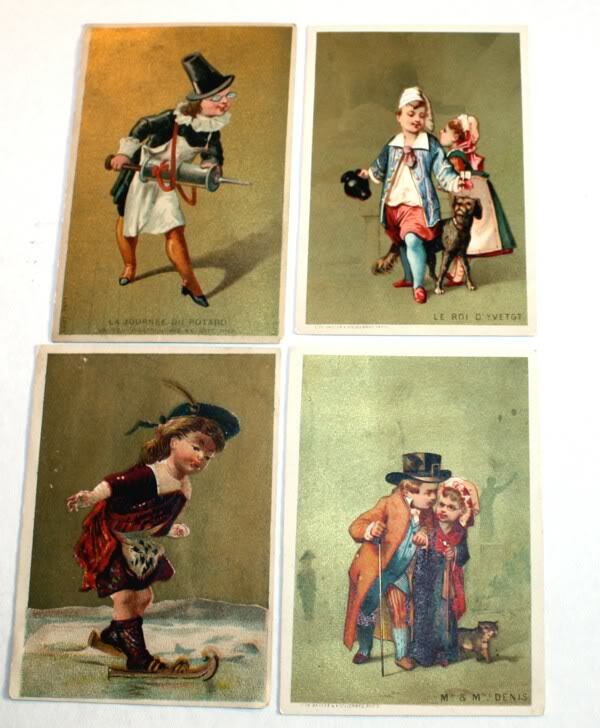 Four assorted chromolithographic French trade cards, with the best graphics! Date to 1880's to 1900's, lovely bright colors, and Gold, these French trade cards are a desirable Victorian ~ French collectible. They depict children in various costumes, each is blank on the back.